I made Samosa Chat for the first time in my life. Very yummy, yummy, so full, very sumptuous meal. 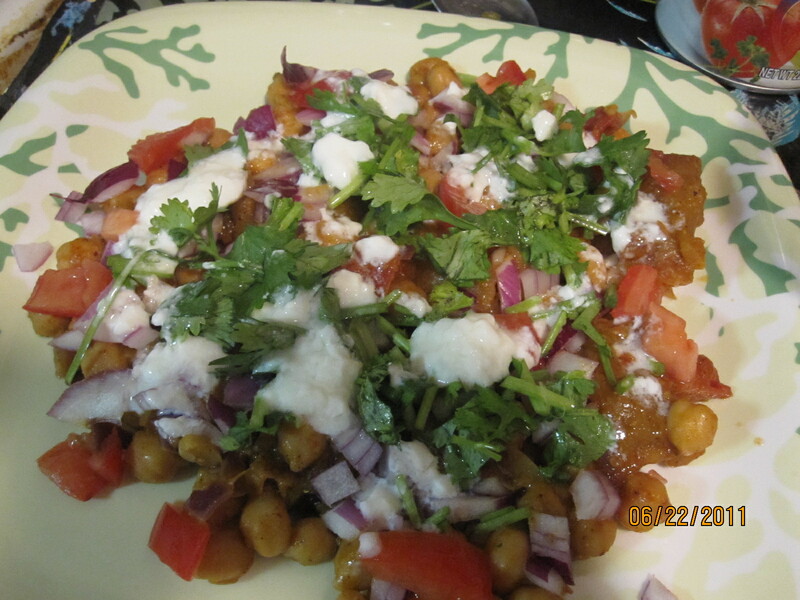 Chick peas, onions, tomatoes, yogurt, Coriander – everything is very healthy. Of course samosas are there but I used frozen mini cocktail samosas and I did not deep fry them but I put them in the toaster oven. 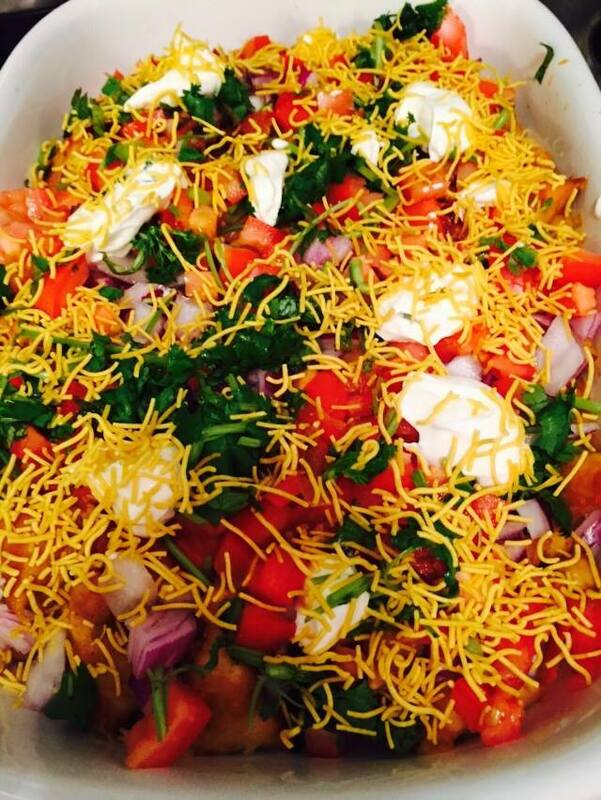 Have a glimpse of my Samosa Chat. I have decided to make my own videos from next time onwards ….